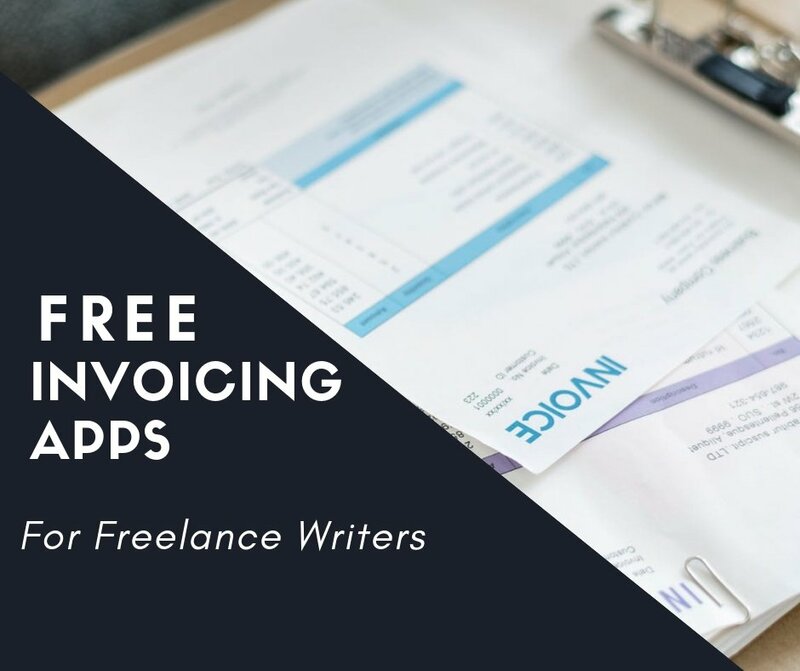 Invoicing is always a tricky subject for freelance writers. 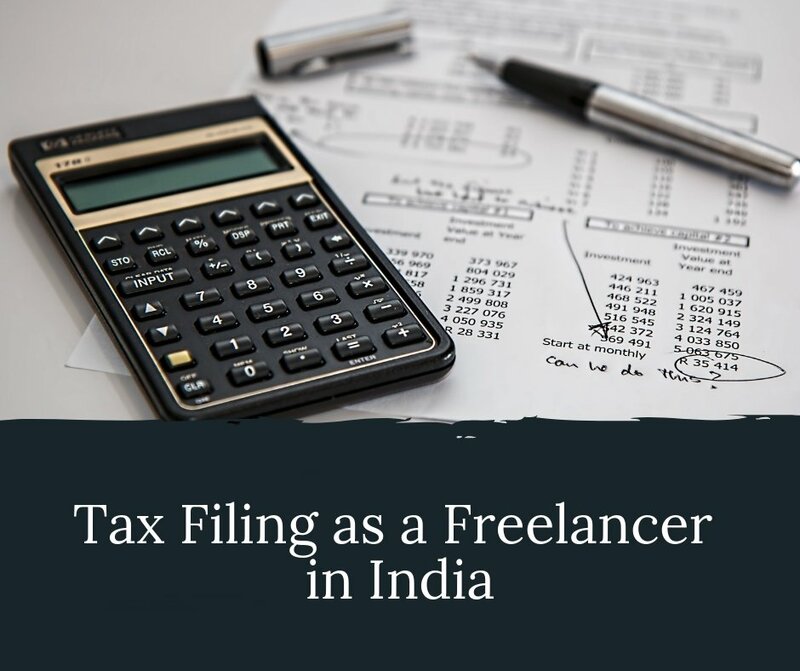 Asking for payments from clients is awkward enough, but figuring out the right invoice format can be all the more confusing, especially when you are new to all this. Now, I am not going to lie, invoicing is one of the most boring parts of freelancing and I loathe creating invoices. But it is a process that just has to be done to get paid. By using an invoicing app, you can cut down the time taken to create invoices by a large amount and also make sure that everything is organised. What do you need your invoicing app to do? 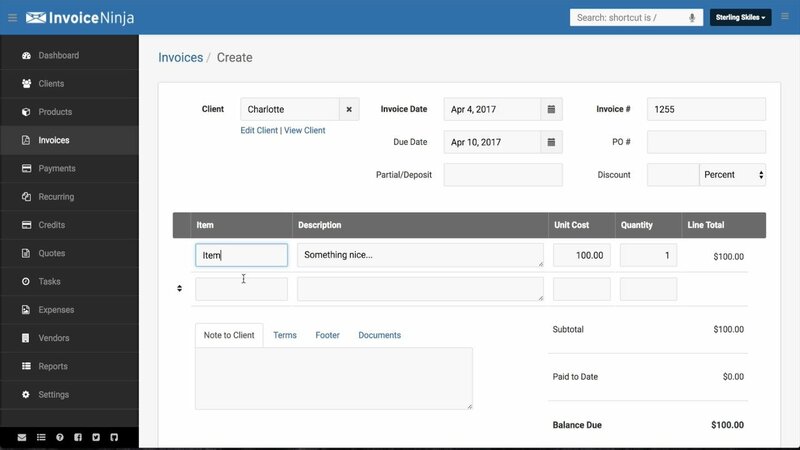 Make a list of all the features that you need from your invoicing app and then shortlist the one that meets all your demands. Wave Apps is a complete invoicing and account suite, and the best part about it is that — It’s free! I have been using Wave for almost 2 years, and I have to say, it’s amazing. Now it’s not perfect, but it comes pretty close to being perfect considering the fact that it’s absolutely free. Wave offers customizable invoices, payment reminders, recurring bills, option to add taxes or discounts, and saves customer details. You can also include direct credit card payments through Wave (Though I recommend PayPal invoices for this). Wave has a mobile app as well which allows you to check all of the pending invoices through your phone. A part of the Zoho suite, Zoho Invoices allows you to customize every detail of the invoice according to your choice. I personally like mobile invoicing in Zoho better than other apps because it is pretty user-friendly. With its direct integration with PayPal, Google Checkout and Stripe, getting paid becomes much easier. 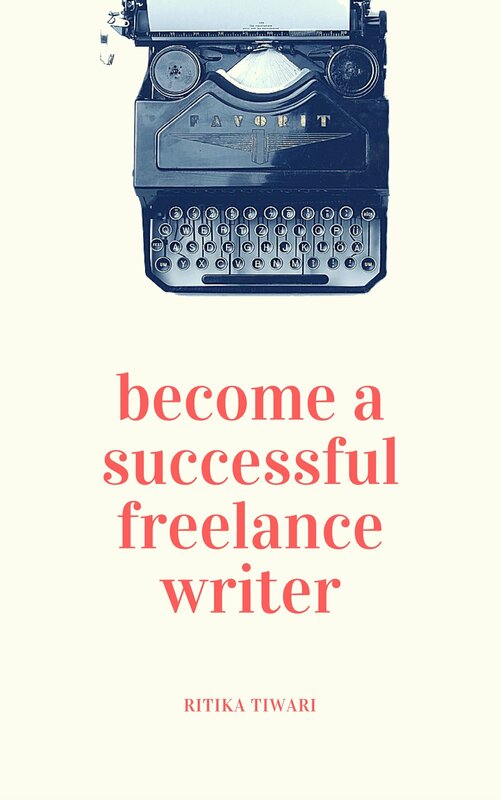 Though, its free version only allows you to add up to 5 customers which makes it more suitable for new freelancers who don’t have as many clients. Another one of my favourites, Invoicely also offers a pretty generous free plan. 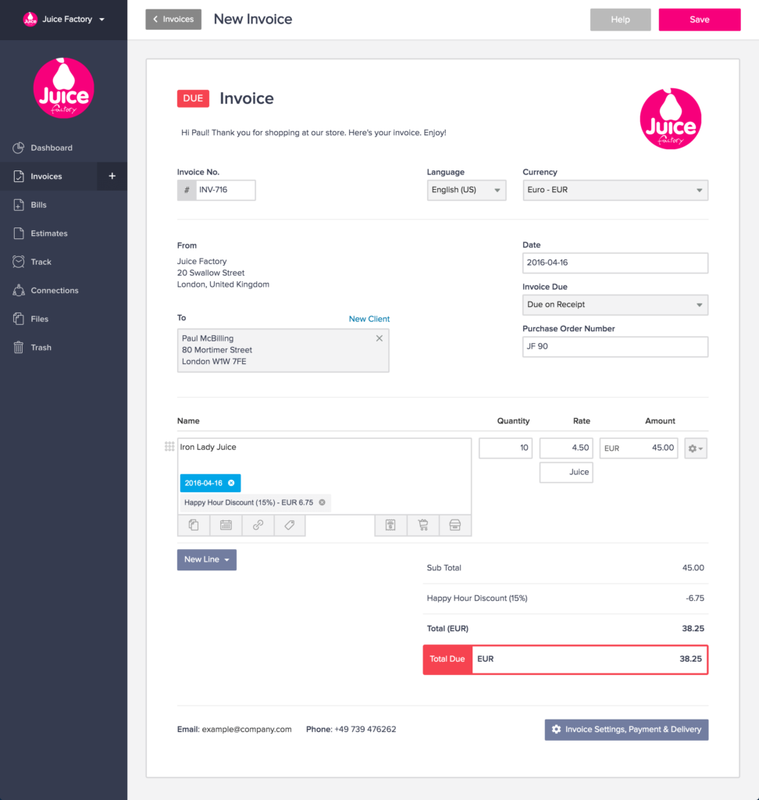 You can easily customize your invoices by adding your brand logo and changing the colour of the layout. It’s also possible to create recurring invoices in multiple languages or currencies. With the account summary option, you can track your past transactions to get a complete idea about your accounting. By integrating Invoicely with your PayPal account, you can receive PayPal payments directly. 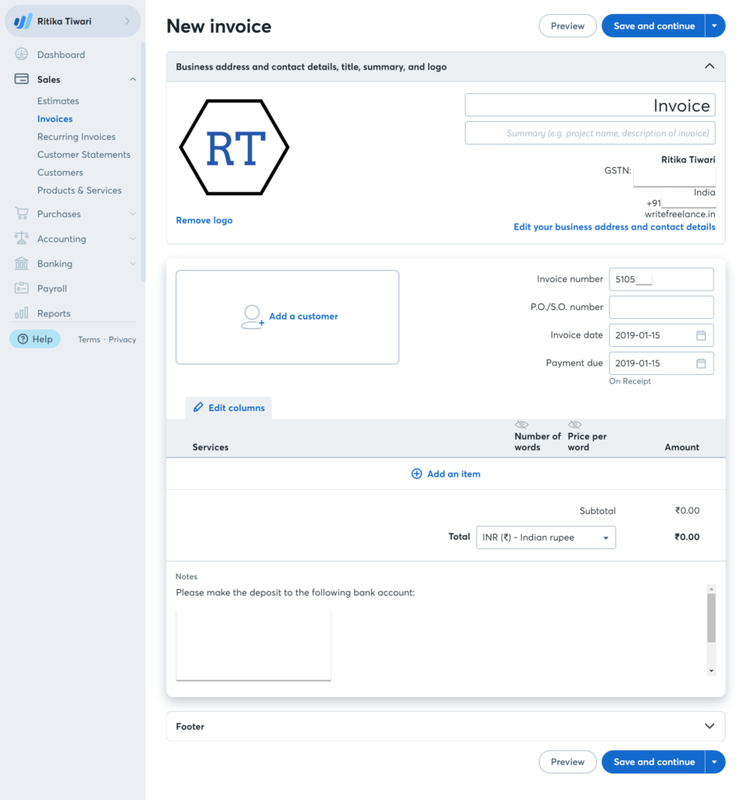 AND CO allows you to create invoices automatically for existing projects, add new projects, or build a one-off invoice without the need to save customer or project details. It also sends you automatic reminders if an invoice has been viewed or hasn’t been paid past the due date. 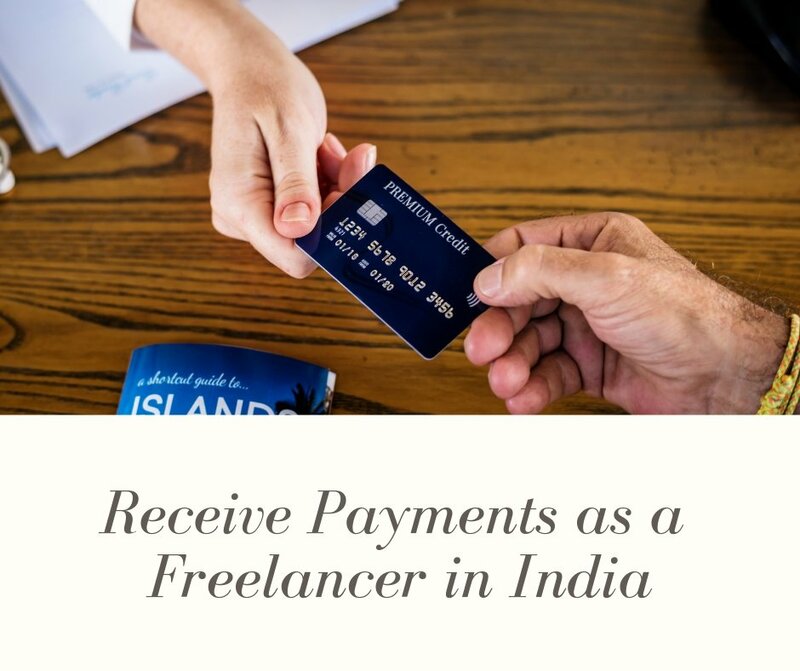 It supports multiple currencies, multiple languages, and recurring payments. You can also customize your invoices. 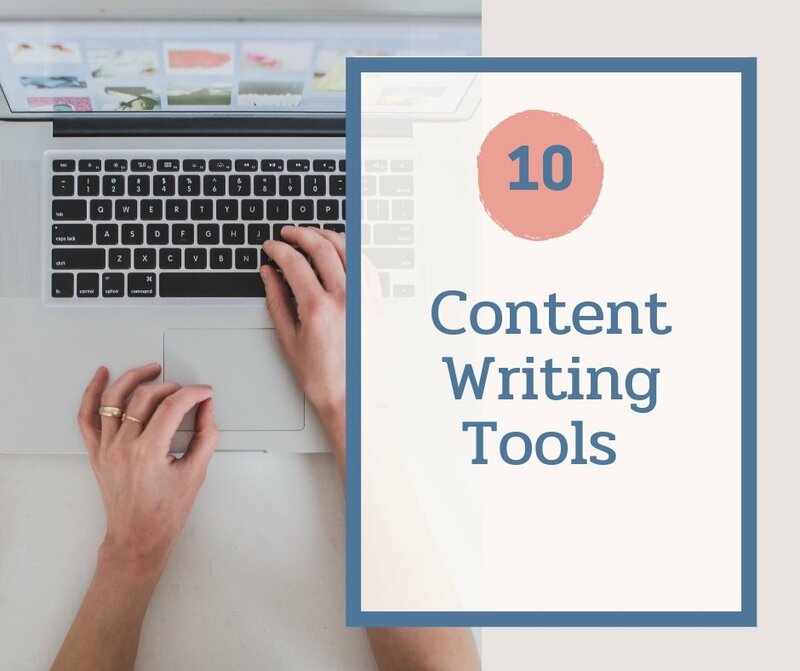 AND CO offers time tracking and task management features making it an all-rounded app for freelance writers. 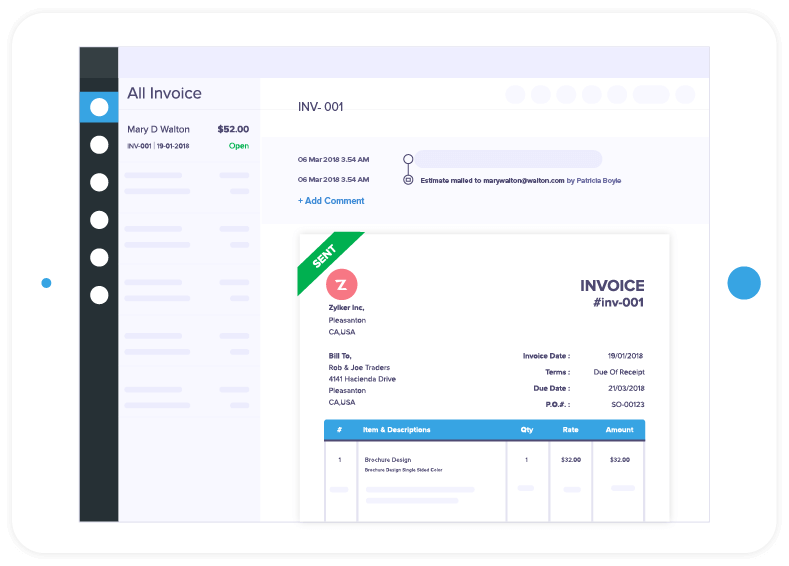 With Invoice Ninja, you can easily add clients, list down the tasks finished for them and even assign them to other members of your team. 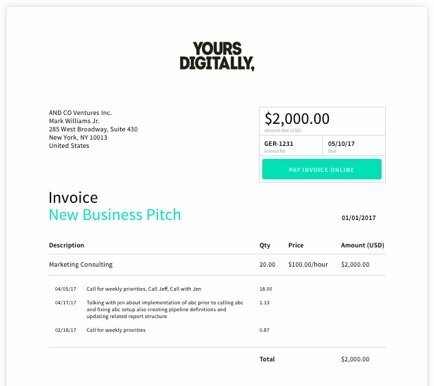 Once the work is done, the app can automatically track the expenses and create an invoice according to the custom template design you selected. So, in a way it doubles up as a task management and invoicing app. What’s even better is that your clients can view the invoices through a standard URL and you can password protect the link for added security. Do you use any invoicing apps? Which is your favourite? Yes. 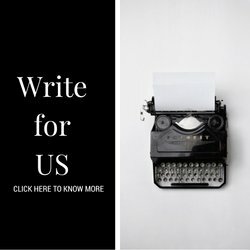 I’m willing to join and how to be started?